I have often thought that I would like to get my DNA tested. And why not? I had both Lola and Piper done. The issue is that my husband has asked me not to. He has some concerns about privacy, what could happen to the results, that it may preclude me from getting healthcare coverage in the future, and on it goes. And I'll concede that it's reasonable for him to ask that of me. But I'm still curious. Mostly, I want to see if I have any African-American DNA. I have a feeling that we have some black relatives in the mix. I mentioned this to Mom and Jorg this weekend. He asked why I think that. I said that it was really just a gut feeling for me. Part of this gut feeling comes from a catalog that I receive on a sporadic basis. For a clothing store. 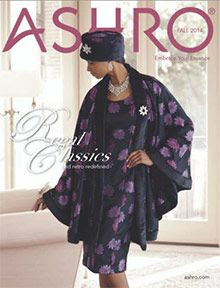 It's called Ashro, and it features Afrocentric Fashions for women of color. The thing has really pretty clothes - the kind of church-going outfits with hats that match, caftans, daishikis and so on. There's also a massive section of wigs. And in those pages are every hairstyle I've ever had, as well as many of my mother's. She said she feels fairly sure there's no African heritage in her lineage. But who knows. I get tons of catalogs, honestly. I kind of enjoy them. Especially since I'm doing some perusing for my spring and summer wardrobe. In other news, I went to a company lunch and learn today. As part of our company mission, we are looking for sustainability, and in keeping with that, we had one of our colleagues give a talk about growing tomatoes and composting. At the end of it, we each picked up a plant and our plan for the summer is to raise them, keep a stats log on them, and once we're done, make something with our tomatoes. It's a nice idea. And I love to garden, and of course, I love homegrown tomatoes, so - no brainer. I picked an heirloom plant variety called Homestead - in reading up on it - University of Florida bred it to do well in high heat. Bring it, yo. I will tell you that I love seed catalogs as much as clothes catalogs. I would love to have a ton of money and leisure time - I'd set up a big garden in the back. Cucumbers, tomatoes, herbs and zinnias. Ooh, and maybe marigolds. I love them. I'm one of the few people who likes the smell of marigolds. I also love the way tomato plants smell. Green. If green had a smell, it would be tomato plants. I'll plant my morning glories soon - I was looking at that planter tonight and noticed that there are two volunteers already sprouting. I'll get some great seeds though, and in a few weeks, I'll make it look good. And maybe, maybe some day when I can assure my husband it's safe, we'll see what my particular heirloom is bred for. Depression Tolerant? Large and Juicy? Firm but Fun? Sun, water and dirt are all good. We need them.